Robert Wright (b. Daytona Beach, Florida, 25 September 1914; d. Miami, Florida, 27 July 2005) and George Forrest (b. Brooklyn, New York, 31 July 1915; d. Miami, Florida, 10 October 1999) were a team of composer-lyricists for the musical theatre – each of them wrote both music and verse – whose partnership spanned over 70 years without pause. 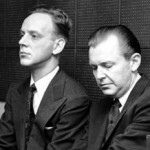 Altogether, the pair wrote over 2,000 songs; as a general rule, however, instead of writing original tunes for their shows, which included Song of Norway (1944), Gypsy Lady (1947), Magdalena (1948), The Great Waltz (1949), and Kismet (1953), Wright and Forrest would adapt music by great classical composers (for the aforementioned musicals, Edvard Grieg, Victor Herbert, Heitor Villa-Lobos, Johann Strauss, and Alexander Borodin respectively). Some of the songs they shaped from this pre-existing material became runaway popular hits: “Strange Music” from Song of Norway, and “Baubles, Bangles, and Beads,” “And This Is My Beloved,” and “Stranger in Paradise” from Kismet. Chet Forrest (he was born George Forrest Chichester, Jr.) and Bob Wright met in high school – at ages 13 and 14 – in Miami in the 1920s and immediately formed a partnership. Wright was already a professional pianist in vaudeville, having won an amateur contest at the age of nine playing the Rachmaninoff C-sharp Minor Prelude. He claimed in later years to have played for the chanteuse Helen Morgan and the fan dancer Sally Rand. Forrest, too, was a pianist of professional grade, entertaining aboard cruise ships and in night clubs, and leading his own dance band. When they were barely into their twenties, the pair moved to Hollywood and went to work for MGM, where they soon demonstrated an unusual flair for turning classical favorites into pop songs. The theme for “The Donkey Serenade” (The Firefly, 1937), for example, was by Rudolf Friml; a faux-opera written for Nelson Eddy and Jeanette MacDonald in Maytime (1937) was based on Tchaikovsky’s Fifth Symphony. Over their seven years at MGM they wrote songs for over fifty films; three were nominated for Oscars® (“Always and Always,” “It’s a Blue World,” and “Pennies for Peppino”). Impresario Edwin Lester of the Los Angeles Civic Light Opera admired the work of the young songwriters and suggested to them the novel idea of writing an operetta on the life of Edvard Grieg, using Grieg’s own compositions. 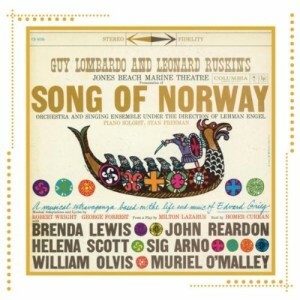 Thus Song of Norway was born; the Civic Light Opera’s production was a resounding success. Lester was encouraged to commission four more shows from Wright and Forrest, three of which traveled to Broadway. 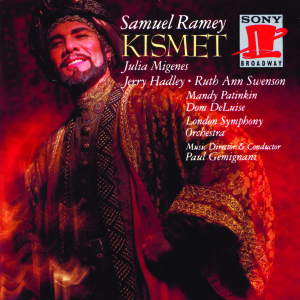 Gypsy Lady and Magdalena were box-office disappointments, but Kismet, with a stellar cast led by Alfred Drake, Joan Diener, Henry Calvin, Richard Kiley, and Doretta Morrow, won the 1954 Tony Award® for Best Musical. Alexander Borodin, who had been dead for 67 years, was named in the citation. Anya (1965), with music adapted from the works of Sergei Rachmaninoff, was the only other musical for which Forrest and Wright borrowed classical music. After Kismet, they forged into new territory with their own original music and lyrics. 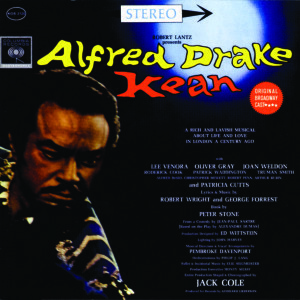 The Love Doctor was produced in London in 1959 but never made it to Broadway; Kean (1961) on Broadway was much admired and brought Alfred Drake a Tony® nomination, but it lasted no more than 92 performances. Timbuktu! 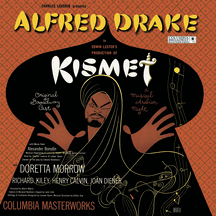 (1978), a reworking of Kismet, with a few new songs, for an African-American cast (Eartha Kitt, Melba Moore, Gilbert Price, with choreography and costumes by Geoffrey Holder) did better, with 221 performances. 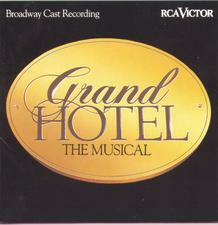 But Wright and Forrest did not have a real hit with original music and lyrics until 1989, when with the help of composer Maury Yeston and director Tommy Tune, Grand Hotel scored more than 1,000 performances and a Tony® nomination. 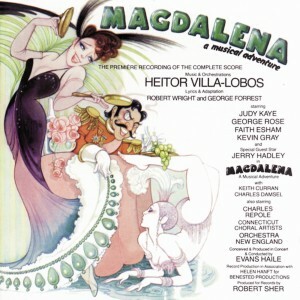 NOTE: The liner notes by Robert Wright and George Forrest to the 1989 CD of Magdalena, originally released by CBS Records and now available from Sony Masterworks Broadway, provide an absorbing in-depth examination of the adapters’ processes creating the show in collaboration with composer Heitor Villa-Lobos.